Black sedan with beige inside. It has rear camera and CD player and has 17 inch wheels. 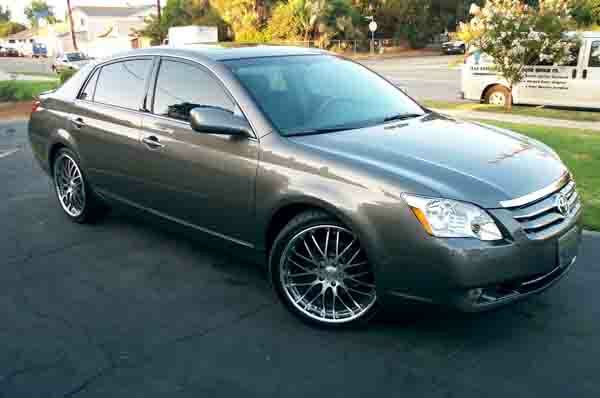 Automatic Toyota Avalon with 18 inch wheels, airbags (front and side), CD player, grey/silver on the outside, silver interior. 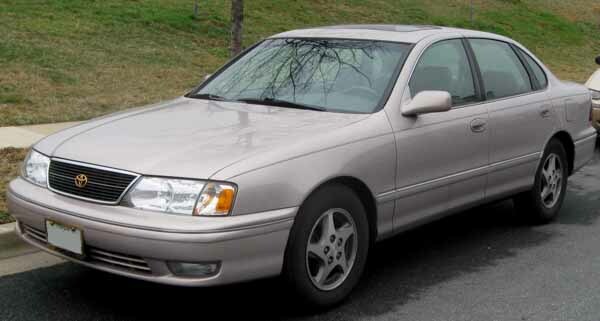 This is a grey/silver sedan with grey inside and front wheel drive, ABS and 16″ wheels. Reduced price! Burgundy Toyota Avalon Touring from 2007 with black interior. 2011 Toyota Avalon with parking sensor rear, air conditioning, keyless go. It has beige interior and is Grey/Silver. Basheer - When I buy cars, I travel from Oman to Dubai, and there is only one vehicle on my mind. 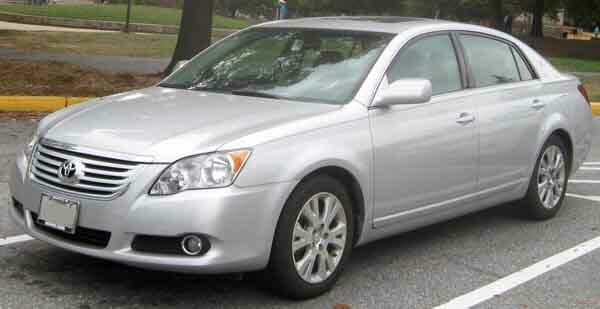 Toyota Avalon SE or Limited. I personally own a second hand touring model I export from the UAE, and it’s got amazing specs, engine power and comfort for long drives. Pros: V6 motor, reliability and comfort. Cons: Shape is a bit bland. 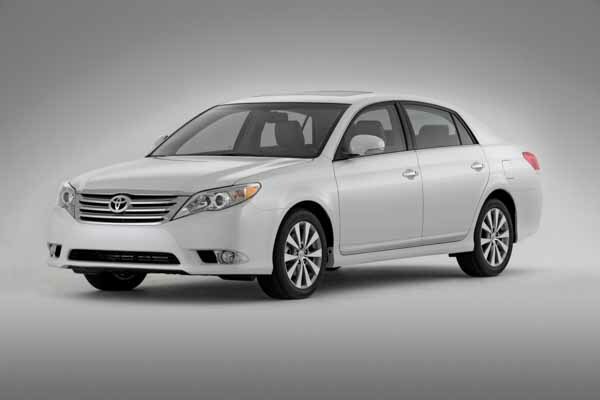 Taher - Buying an import pre owned Toyota Avalon Premium sedan was very easy in Dubai. Lots for sale at a good price. Perfect car for the UAE, great specs, five seats, leather interior and safety options. Pros: Cabin space and options. 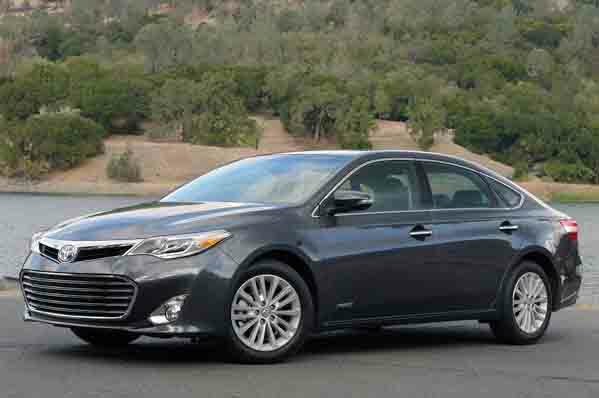 Amir - My wife and I both drive Avalon models, she has XLS model, and I have XLE model. Very few differences between the two. Both have good options, powerful V6 engine and very friendly interior. Pros: Easy to fix, engine and comfort. Cons: Price can be high with options. They are robust and rarely fail. Why do you think the Oman taxi fleet has so many covered in orange and white paint. For all five passengers inside, there is plenty of room for all to fit inside. This includes those over 6 foot. It’s one of the safest vehicles around and currently, holds a five-star crash rating. In top trim, the Avalon can rival any luxury sedan with the options inside including cooled seats, reverse camera, parking sensors and memory seats. 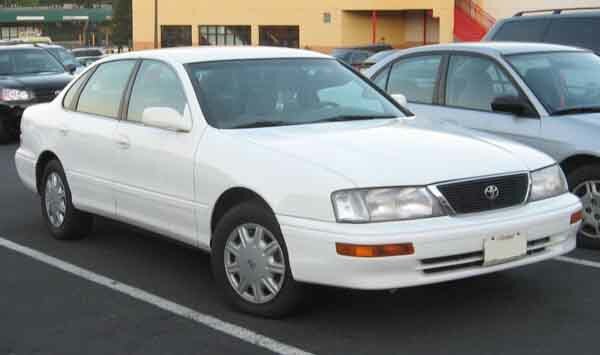 Debuting in 1994 as a 95 model, this mid-range Toyota sedan served as a replacement to the Toyota Cressida which was a straight six rear wheel driven top end luxury car whereas the Avalon came out with a V6 mounted to a front wheel drive layout. As the years went by it rivaled the likes of the home grown and family owned Lexus ES Series as well as the Nissan Maxima, Dodge Charger, Hyundai Azera and Ford Fusion. 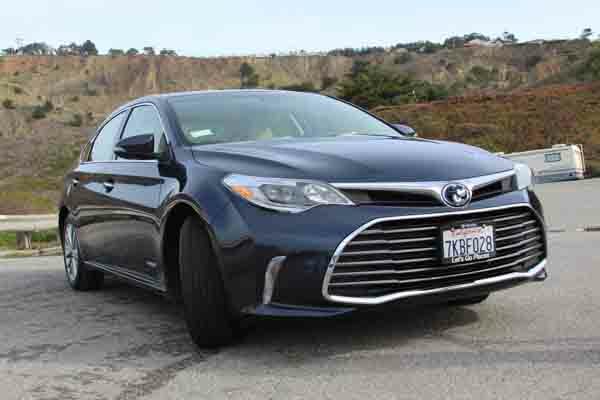 Eventually, the Avalon took over from the outgoing V6 Camry as those cars became exclusively four cylinders. Based on an extended chassis of the Camry, the Avalon provided extra legroom for rear passengers. With similar markings to its donor mode, the Avalon had its own visual markings including a slanted grille, unique lighting houses and separate rims on each corner. Traction control was an optional extra at the very beginning and in 1997, ABS were added to the standard features. 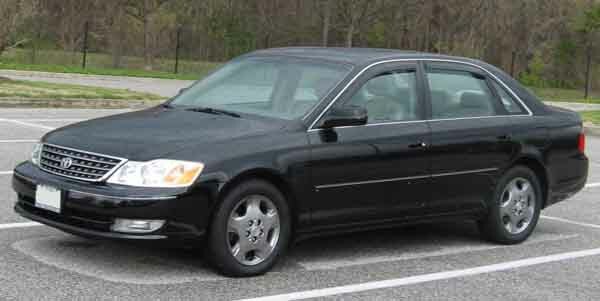 One year later in 1998, the sedan was given a light refresh to enhance its ageing looks. This included reworked front and rear ends whereas inside, side-mounted airbags became standard upfront and its overall structure was improved for increased strength. Certain models during this time also came with a six seat setup instead of the traditional five-seat configuration. A single 3-litre V6 provided power to each of the Avalon’s produced. Around 200 horsepower is channelled through a 4-speed automatic gearbox controlling the front wheels. Entering the second generation, the Avalon grew into a new car. Sporting a new front grille with unique headlamps as well as a new rear end to complete the look. Two trims are available in this generation with unique properties. Base models have 15-inch alloys on each corner, ABS and side airbags. Extras include an array of luxurious options; leather seats, navigation, JBL sound system, Vehicle Stability Control, dual zone climate control, 16-inch alloys and powered seats. All this allowed the Avalon to increase the pressure in the mid-luxury sedan segment. The six-seat setup was once again readily available. Also returning is the 3-litre V6 motor mated to a 4-speed auto transmission. Now rated over 200 horsepower, the cars also received an 115V AC power inverter which was a first for any vehicle across the world. 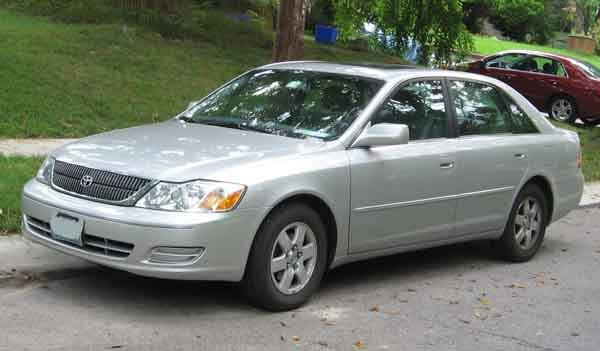 In 2003, the Avalon received a mild refresh giving the car a new grille up front, headlights and rear lights. Wood grain trim was added to the interior options list, as were new gauges and chrome steering wheel emblem. Entering its third generation, the mid-level sedan grew inside once again. With an all new face, the Avalon was right back in the hunt for market supremacy. The rear end was also improved as was the interior. Once again the features list grew and now includes 17-inch rims, leather upholstery, media inputs, cooled front seats, moonroof, Laser Cruise control, Vehicle Stability Control (VSC), navigation. Bluetooth, parking sensors, reverse camera, keyless start, powered accessories and more. Gone is the 3.0-litre V6 petrol engine as in this generation it was replaced by the 3.5-litre V6 rated at 280 horsepower. A choice between a 5-speed or 6-speed automatic gearbox was available to channel the power to the front wheels. In these years, the six-seater version was dropped in favour for the desired five-seater setup. In 2007, a tyre pressure warning system was implemented into each model as well as a minor facelift. A new front end was once again added along with new taillights with darker tints. Unique trim pieces also flooded in for various models including a blacked out grille, upgraded rear brakes and remote key. In 2009, VSC came as standard and certain trim levels were dropped from the lineup. New colours were also introduced. In 2011 trim, the Avalon once again went underneath the knife as it rolled out with revised headlights, front grille and fog lamps. Reverse cameras became a standard feature as did electric folding exterior mirrors and an upgraded suspension system. High-Intensity bulbs were added to the menu as was an updated sound system and a unique set of rims. Now entering its fourth generation, the mid-sized sedan took a huge leap forward regarding looks and appeared reminiscent of the Camry and Corolla vehicles. With a tightened front end, new headlights with optional xenon and LED sources. Around the back, C-pillars appear more fluid as they trickle down towards the boot of the vehicle were new lights are also fitted with LED options. The interior hasn’t been left out of the equation with an appropriate upgrade to the options list, build quality and fabrics. Cooled seats started to pop up more frequently throughout the range as did the premium sound system, sunroof and navigation system. Powering the front wheels is the same 3.5-litre V6 pumping out similar figures while mated to a six-speed auto gearbox. A 2.4-litre four cylinder hybrid variant was also added to the engine bay if requested. In 2015 for the 2016 trim, the model was once again updated and now included a new front end with new fog lights on higher levels.